Q1. Can I get a discount on my polypropylene wall to wall carpet for mosque? Yes. 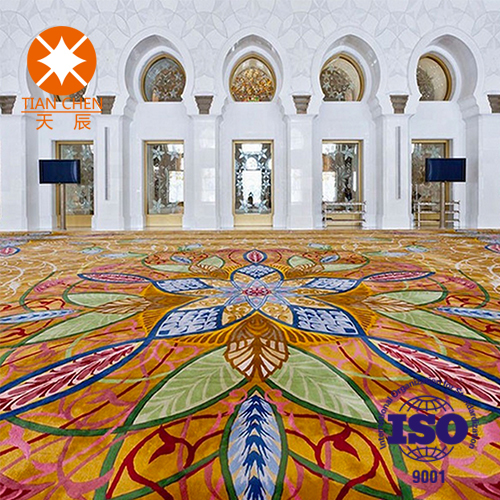 If you order more than 4000m carpet in once, there will be some discount. Q2. Do you have more pictures of wall to wall mosque carpet that i want? We are updating our pictures everyday and we have over 5000 designs for our clients to choose. Q3. Can you send a wall to wall masjid carpet sample for reference? If we have wall to wall carpet sample in stock, we are honored to send you carpet sample for close inspection. Yes, we work on both OEM and ODM orders. Q6. How long is the delivery time of orders for carpet? Usually it will take 15-30 days after getting 30% deposit. Urgent order please advice us in advance and we will try our best to arrange the delivery soon. Looking for ideal Muslin Prayer Mat Manufacturer & supplier ? We have a wide selection at great prices to help you get creative. All the Masjid Prayer Mat are quality guaranteed. We are China Origin Factory of Mosque Prayer Mat. If you have any question, please feel free to contact us.